LizardArt is a co-operative of artists who mostly live and work on the Lizard Peninsula in Cornwall. Their members work in a wide spectrum of styles, and media, but all have in common the fact that they draw their inspiration from this wild and rugged landscape, with its huge range of light and colour. The aims of the co-operative are to support and promote the work of local artists. 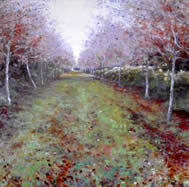 LizardArt was founded in 1997, and in 2002 they opened their own gallery on the Trelowarren Estate, outside Helston. The Stable Yard Gallery was formerly the Estate Coach House, and it has become a large light airy space in which they can showcase the work of all their members. The gallery is run as a co-operative, showing primarily the work of the group members, with the occasional exhibition open to all artists. One of these open exhibitions, which take place each year over the Easter period, is the annual Affordable Art Fair held to raise funds for a local charity. Artists from throughout Cornwall are invited to submit work. There is some stunning artwork at attractive prices to be had at this popular show! The Stable Yard Gallery at Trelowarren is open every day from 11.00am, from Easter until the end of the October half-term, with a member of the co-operative on duty to welcome visitors and to answer any questions that you may have. 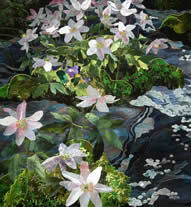 More information on LizardArt and its members is available on their website www.lizardart.co.uk.